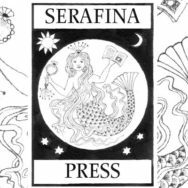 Based in the Borders seaside town of Eyemouth, Serafina Press aims to produce art-driven children’s picture books. 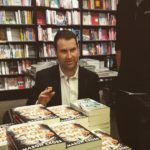 The books have a strong sense of their Scottish or North Northumberland location, but are not limited in appeal to the region – they sell around the UK, and abroad. The stories are aimed at children up to eight years, with illustrations on every page. Cards featuring some of the characters are available. Serafina Press has a particular interest in working with young illustrators, as well as its long-standing work with acclaimed author and illustrator, Cara Lockhart Smith. 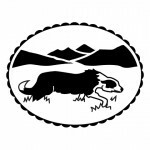 2017 saw the publication of Serafina’s fourteenth book – Paxton, the sheepdog who couldn’t… by JK Fox, illustrated by Alexa Rutherford. Earlier books, The Mouse of Gold and its sequel, The Fierce and Gentle Wolf have been translated into Arabic.